This sample itinerary has been designed especially for couples or groups where one or more people can relax and enjoy the scenery, while others do the hiking. The non-hikers will be transported either by helicopter or water-taxi between accommodation. Arrive in Queenstown, and be met by your iTrek hosts, George and Mary Scott. 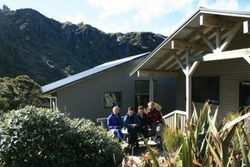 Transfer to idyllic Lake Wanaka, and stay in the Scott's comfortable bed and breakfast accommodation. Relax and unwind in your majestic mountainous surroundings. Maybe you would like to enjoy boat trip on the lake, or walk or cycle partly around it. Central Otago wines are famous for the pinot noir variety of wine, and today we take you on a tour. Your hosts also can also introduce you to local artists and artisans. Why not purchase some wine, or crafts as souvenirs? Travel to the farming area of Gore. Gore is renowned in New Zealand for its art gallery, and for its locals who made illicit whiskey during prohibition times. Enjoy lamb, venison or seafood and local produce for your evening meal. Visit your iTrek host’s national environmental award winning sheep and deer farm. George will even shear a sheep or two for you. Travel through New Zealand’s highest producing farmland to Tuatapere, the start of the Hump Ridge Track. Tonight you will receive your pre-track briefing. 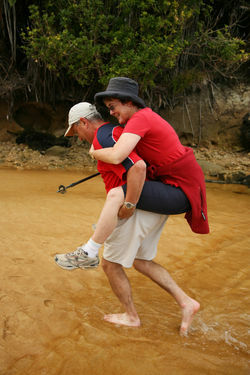 Non-trekking partners are able to fly by helicopter to join their partners each day. There is also the option of walking some part-days on this track. Start of the Hump Ridge Track. The track explores the southern edge of the Fiordland National Park World Heritage area. It displays a unique combination of beach, bush, and sub-alpine scenery, awesome viaducts, and has established itself as one of New Zealand’s iconic hikes. Fly by helicopter over the coast, walk through tussock grasses, and stay in a hut, after hiking for 13 kms. Traverse along the Hump Ridge, past sandstone tors and mountain tarns, and descend through beech trees. Today you visit the massive Percy Burn Viaduct, the highest remaining wooden viaduct in the world. There are 19 kms to walk today. Relax and sleep in after the exertion of the past few days. Why not enjoy a sports massage to soothe your tired legs? Wine and art tours are also available today. Drive with your iTrek hosts to Aoraki-Mt Cook, New Zealand’s highest mountain, stopping on the way at a salmon farm. 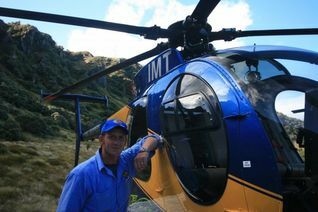 Alternatively you may like to fly there, taking in the majesty of New Zealand’s Southern Alps. If you choose this option, your iTrek hosts will meet you. Today we travel to Hamner Springs. Spoil yourself with some luxury tonight. Dine within walking distance of your luxurious accommodation, and enjoy a romantic evening sampling New Zealand seafood and wine. This is the day to relax at the hot springs and spa, soaking away your worries, and enjoying your partner’s company. There are 12 open-air thermally heated pools to choose from, as well as 6 private indoor pools. You can enjoy a range of massage and beauty treatments, including detoxifying body wraps, and aromatic facials. Go on! Pamper yourselves! A “must see” for all travellers, today is a day you will remember forever! 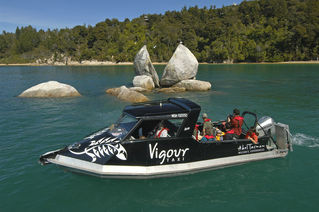 We drive to Kaikoura to New Zealand’s only marine-based whale-watching experience. A typical tour may encounter fur seals, pods of Dusky dolphins, and the endangered wandering albatross. 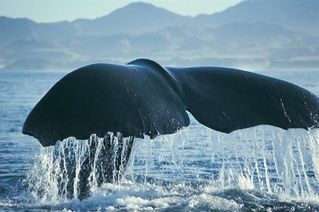 Giant sperm whales are the stars of the show, and are year-round residents here. Once you have descended from your high, we travel on to Picton. There are many choices for sightseeing today, as we travel towards Nelson. You may decide to go by the scenic coastal route, and/or wish to visit a winery. This area is famous for the sauvignon blanc grape variety, so why not stop and have a sample? Nelson is renowned for its craftspeople and artisans, and is a wonderful place to purchase something locally made as a souvenir. Your guide individually designs a day for you, which can be as active or as relaxed as you would like. You could try kayaking, walking, or relaxing on the beach. You have the opportunity to visit early-European and pre-European historical sites. Today you enjoy a succession of magnificent views of headlands, estuaries and beaches, walk through native forest and cross a swing bridge. Breath-taking first generation forest, waterfalls, pools, golden beaches, and historic Maori sites, are all on the list for your walk today or just enjoy a relaxing day - the choice is yours. Travel to Wellington and then onto your home, with life-long memories to share together.